The wait is over for those waiting for the Samsung ATIV S! This device was the first device to feature the new Windows 8 OS from Microsoft and now it is confirmed that it will be released on Friday, December 14, 2012. 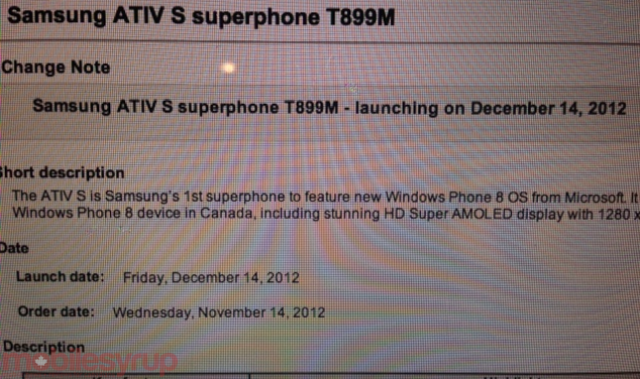 It is heard that the Samsung ATIV S will be available from all carriers such as Rogers, Telus, and Bell. The prices will be $79.95 on a 3-year contract and $599.95 without a contract.